* 6 Cylinder engine * * Check out this 2019 Dodge Durango SXT * * 2019 ** Dodge * * Durango * This White 2019 Dodge Durango SXT might be just the SUV AWD for you. It has a 6 Cylinder engine. The exterior is a suave white. Call today and take this one out for a spin! * 6 Cylinder engine * * Check out this 2019 Dodge Durango SXT * * 2019 ** Dodge * * Durango * This DB Black Clearcoat 2019 Dodge Durango SXT might be just the SUV AWD for you. It comes with a 6 Cylinder engine. The exterior is a sharp db black clearcoat. Call and schedule your test drive today! * 6 Cylinder engine * * Check out this 2019 Dodge Durango SXT * * 2019 ** Dodge * * Durango * This White 2019 Dodge Durango SXT might be just the SUV AWD for you. It comes with a 6 Cylinder engine. The exterior is a suave white. Don't regret waiting on this one! Call today to schedule your test drive. * 6 Cylinder engine * * 2018 ** Dodge * * Durango * * GT * Featuring a backup sensor, rear air conditioning, push button start, remote starter, backup camera, parking assistance, Bluetooth, braking assist, dual climate control, and hill start assist, be sure to take a look at this 2018 Dodge Durango GT before it's gone. It has a 6 Cylinder engine. The exterior is a stunning white. Looking to buy a safer SUV AWD? Look no further! This one passed the crash test with 4 out of 5 stars. Call or visit to talk with one of our vehicle specialists today! * 6 Cylinder engine * * Check out this 2019 Dodge Durango GT * * 2019 ** Dodge * * Durango * This Granite Clearcoat 2019 Dodge Durango GT might be just the SUV AWD for you. It has a 6 Cylinder engine. The exterior is a dazzling granite clearcoat. View this beauty and our entire inventory today! Call for more details. 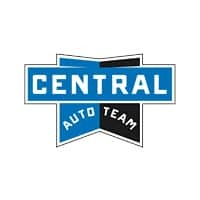 * 6 Cylinder engine * * Check out this 2019 Dodge Durango GT * * 2019 ** Dodge * * Durango * This Granite Clearcoat 2019 Dodge Durango GT might be just the SUV AWD for you. It has a 6 Cylinder engine. The exterior is a ravishing granite clearcoat. Make your move before it's too late schedule a test drive today!